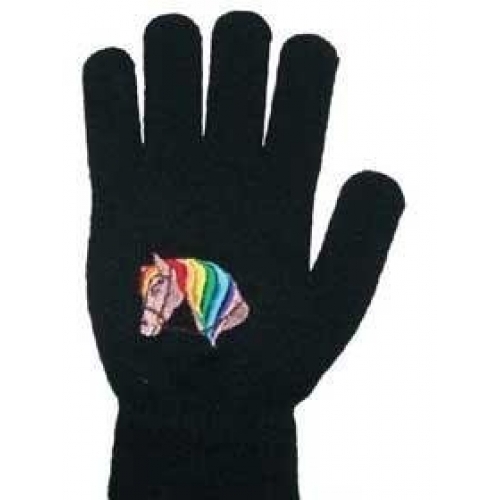 Urban Horse Promotes a Pair of Childrens Magic Gloves with a Horsehead Pattern. One Size Fits All Sizes of Children. Childrens Horsehead Pattern Magic Riding Gloves are knitted pimple grip riding gloves with an elasticated wrist to keep little hands warm and protected whilst riding. These popular childrens riding gloves are not bulky, and stretch to accommodate all childrens hand sizes.